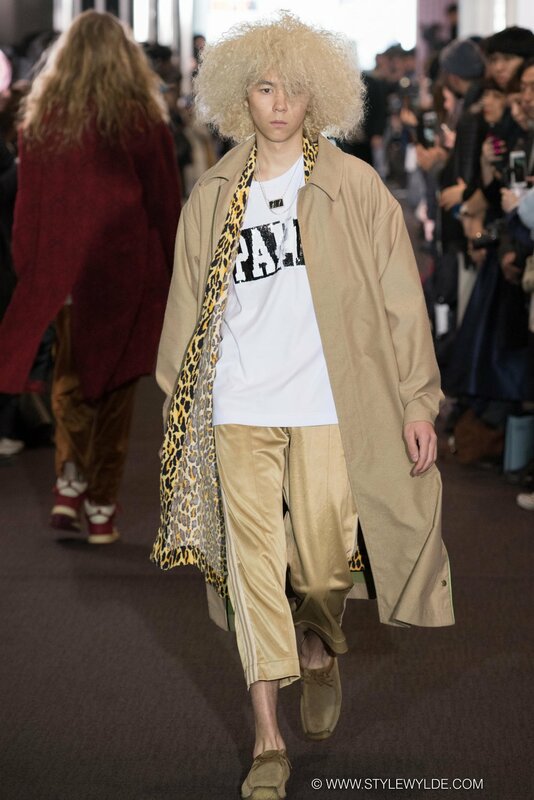 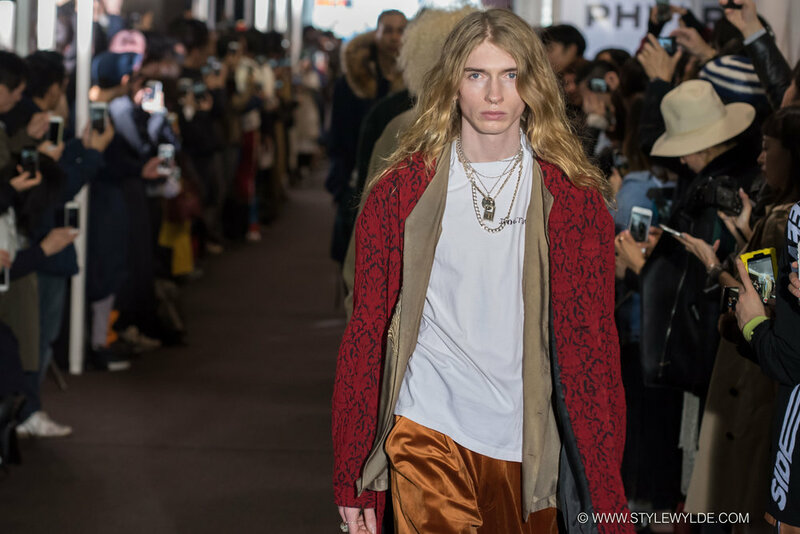 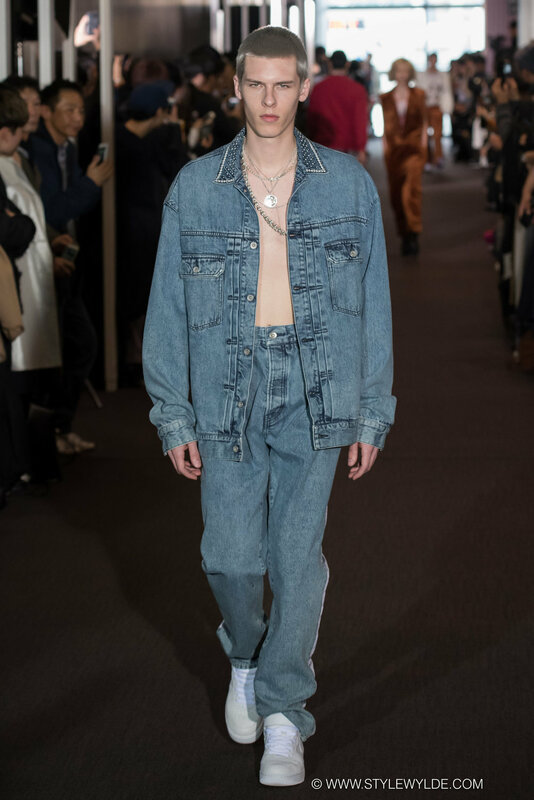 Set outside of Tokyo's Hikarie Hall A, in the semi-public hallway between the venue and the press room, the TAAKK Fall 2017 show was full of surprises. 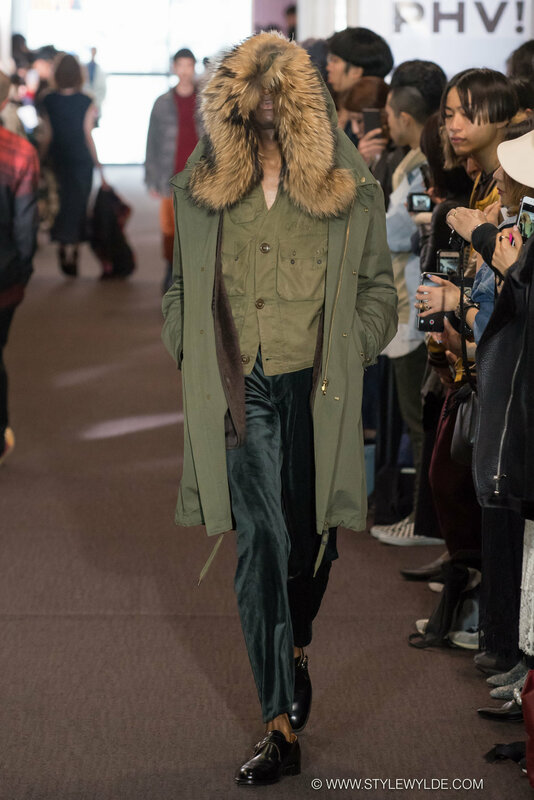 Based around the concept of "borders" and the multi-cultural influences on Japanese style over the centuries, the show was packed with European, African, and Southeast Asian images and iconography. 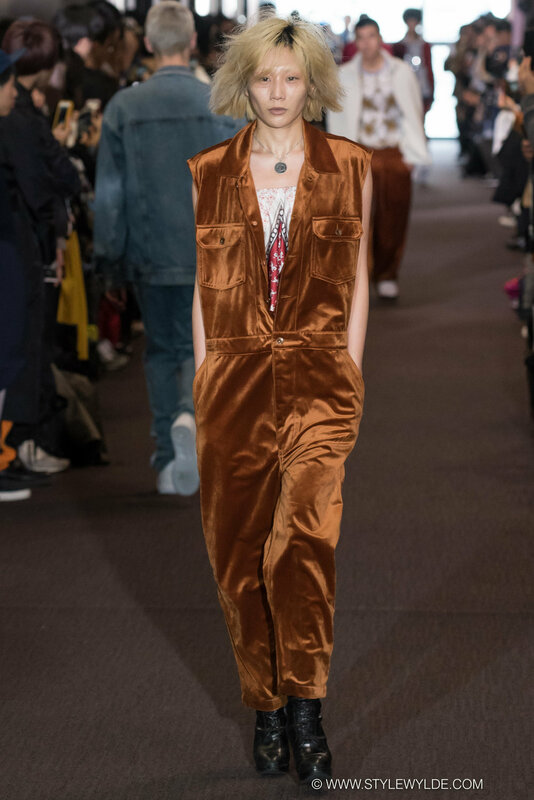 This mixture of ideas, and influences, blended with designer Takuya Morikawa's talent for construction and flair for rebellion, gave everything in the show a fun rock and roll vibe while maintaining a "high-end" feel. 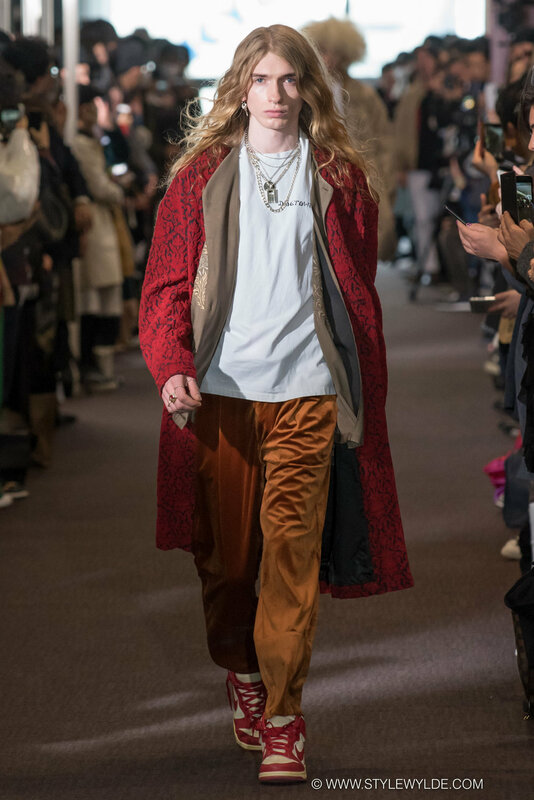 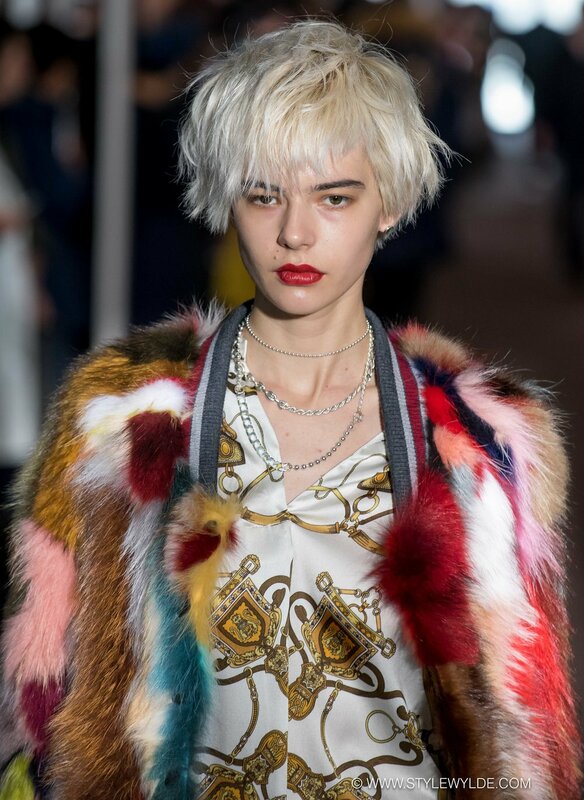 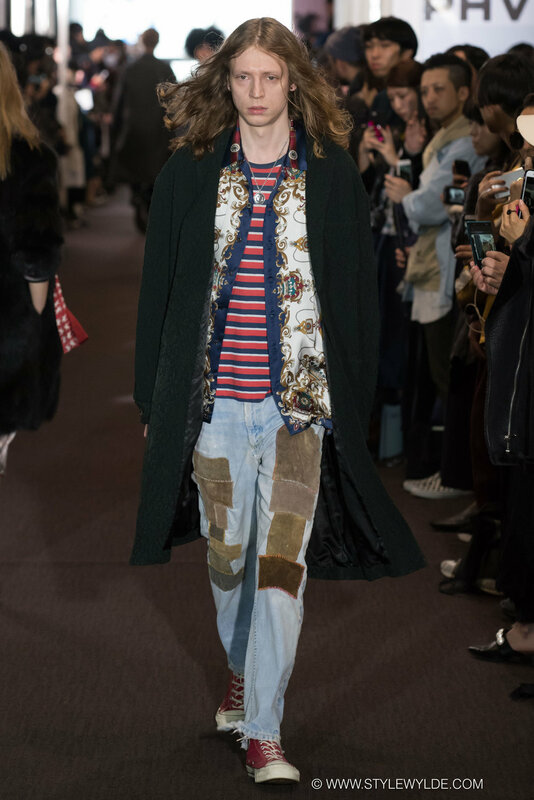 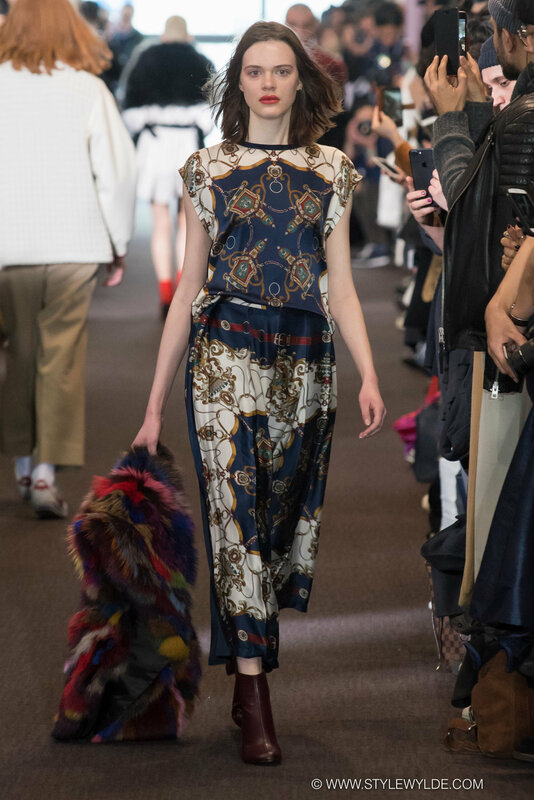 Velvet and silk mixed it up with vintage denim and cotton tees, while tweeds and animal prints met English family crests and brightly-hued furs. 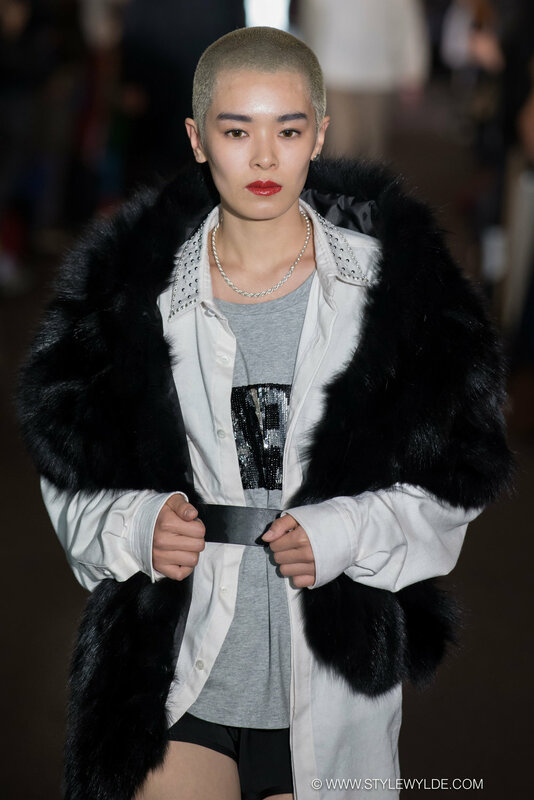 All images: Cynthia Anderson for Style Wylde. 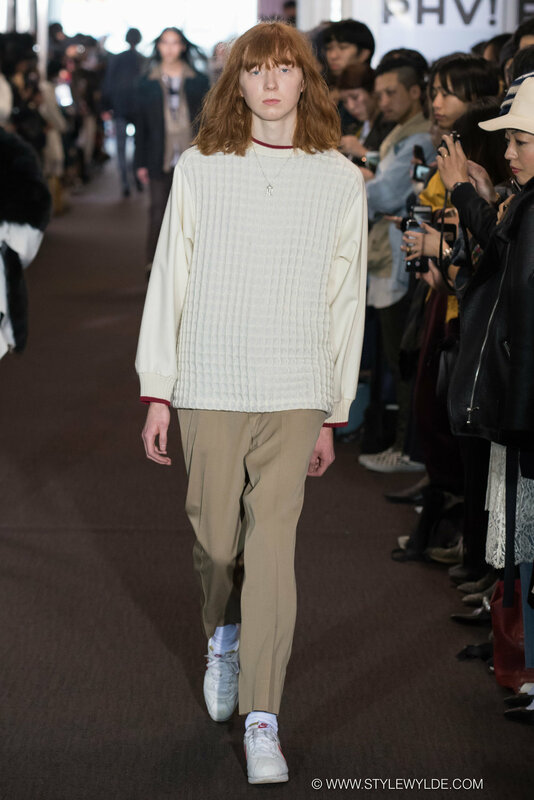 For more from the TAAKK Fall 2017 show, check out our exclusive behind the scenes feature in Beauty.